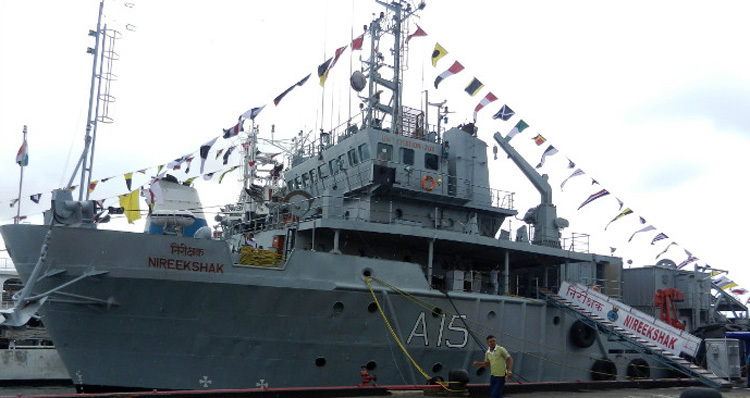 Hindustan Shipyard Limited, Vishakhapatnam is to manufacture diving support vessels (DSVs) for the Indian Navy. The DSV is also equipped with a Deep Submergence Rescue Vessel (DSRV), which significantly enhances its Submarine Rescue Capabilities. Contract for procurement of two sets of non-tethered DSRV, capable of effecting submarine rescue up to depths of 650 meters was signed in March 2016 with the British firm, M/s James Fisher Defence, in March 2016. The first DSRV was delivered at Mumbai in April 2018, and the second DSRV slated for Vishakhapatnam is expected by end December this year. The first vessel to be built over a 36 month period would be followed by the second, six months later. The vessels to be based at Vishakhapatnam and Mumbai respectively would be of 118 m in length and of weigh approximately 7,650 tonnes. Submarine are significant strategic assets but are also vulnerable to action damage, requiring extensive diving for undertaking Search and Rescue (SAR) operations that demand the availability of a credible and suitably equipped platform. 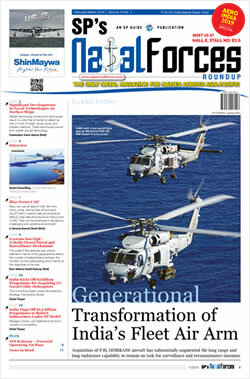 DSVs provide safety cover to submarines in case of a mishap. These vessels facilitate operations like rescue of submarines, under water inspection, salvage and recovery of ship and aircraft lost at sea. As these activities involve diving operations with divers remaining underwater for prolonged durations, it requires a suitable platform for their launch and recovery, as well as for carriage of related tools and equipment. Induction of DSVs equipped with DSRV, will go a long way in enhancing the Indian Navy's capability and reach of submarine rescue operations in the Indian Ocean Region (IOR). The total cost of the contract is more than 2,500 crores. The Navy successfully concluded maiden trials of the DSRV on October 15, 2018 by carrying out under water mating with a bottomed submarine, at over 300 feet depth. On successful mating the DSRV opened its hatches and the submarine hatches and carried out transfer of personnel from the submarine to the DSRV. These sea trials have proven the newly inducted DSRV's ability to undertake rescue operations from disabled submarines at sea and has provided the Indian Navy with a critical capability. During the trials the DSRV also dived successfully up to 666 m. DSRV crew has also carried out ROV operations at over 750 metres and Side Scan Sonar operations at over 650 metres, which are all 'firsts' for the Indian Navy. But when talking of DSVs and DSRVs for their role in facilitating operations like rescue of submarines, under water inspection salvage and recovery of ship and aircraft lost at sea, the thoughts automatically go back to the various accidents at sea that the Indian Navy suffered including the kilo class submarines INS Sindhuratna and INS Sindhurakshak among other mishaps that caused then Naval Chief to resign on February 26, 2014, taking moral responsibility for repeated accidents involving naval vessels, saying the root cause of his resignation was the 'dysfunctional and inefficient' operating environment in the Navy, and that he was surprised at the haste with which the UPA II Government accepted his resignation. The Admiral, a gentleman to the core, was modest in accrediting the dysfunctional and inefficient system in the Navy, which actually is courtesy the 'dysfunctional and inefficient' defence set up of India including the defence-industrial complex. Nothing can be so precisely accurate than the Admiral saying where there is authority there is no accountability and where there is accountability there is no authority. What obviously galled the Admiral and made him resign was that with modernisation of the naval fleet stonewalled at every stage by the then government, he could do little to stop his personnel being harmed further; forced to sail in outdated submarines that were in serious need of upgrades. INS Sindhuratna's batteries had used up their life cycle in December 2012 but the submarine was forced to go for minor refit and continue on sea because of the depleted numbers of submarines in the Navy. It was still running on out dated batteries. It could not get new batteries because procurement was delayed for 15 months by some lowly bureaucrats in the MoD despite availability of replacement batteries within India. INS Sindhuratna was on its first sea trial when the fire broke out due to the outdated batteries. But none in MoD were prepared to share responsibility – not even those who sat on the related files to clear purchase of the replacement batteries. 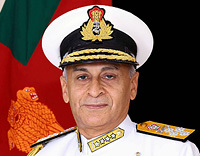 The present dispensation did appoint Admiral Joshi as Lieutenant Governor of Andaman and Nicobar Islands which he more than deserved, but government consideration basically hinged on Joshi hailing from Garhwal region (same as the NSA), not any love lost for a former Naval Chief unceremoniously sent out by UPA II. DSVs will certainly save lives and help rescue and refit at sea albeit lives of soldiers matter little to Indian governments. We could learn from a country like Malaysia that orchestrated a three year surface and sub-surface hunt at sea, involving 11 countries, for the missing Malaysian Airliner MH-370 knowing there was no hope of any survivors. 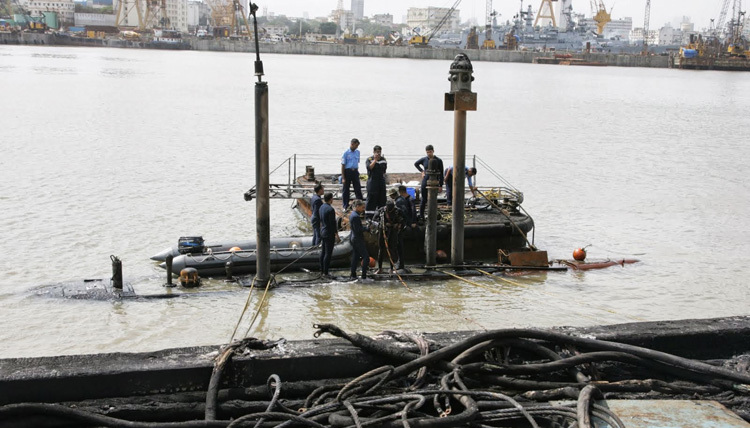 Compare this to the tragedy of INS Sindhurakshak in August 2013 which sank along with three officers and 15 sailors, whose bodies were never recovered. The MoD kept calculating how much it would cost to 'hire' foreign help to recover the dead. Media was used to say the cost was exorbitant but could India not have organized foreign assistance on "humanitarian grounds", especially with our Armed Forces have been the lead agency for providing disaster relief in foreign countries? The thoughts go to the families of those 18 braves who never got to see the remains of their loved ones one last time.